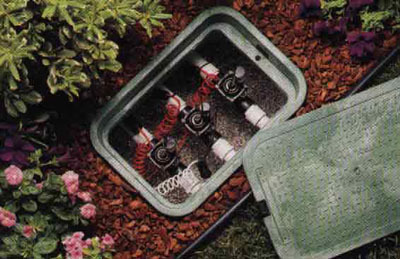 Learn more about Rainfall Irrigation Inc. in Powder Spring, GA.
Rainfall Irrigation Inc. has become synonymous with superior quality, innovative technology, and optimum service. We are proud to have maintained the trust of our clients in Metro Atlanta and surrounding areas and we are devoted to developing and maintaining long-term relationships with them. We feel their support confirms our integrity, and we are committed to maintaining this relationship by providing up-to-date product knowledge, unsurpassed levels of service, business expertise, technical support, quality irrigation, and landscape lighting products. We are here to serve you with high quality service, state-of-the-art equipment, and over 14 years of irrigation experience. In 2000, we became a licensed and insured company, creating and installing custom underground sprinkler systems; and we have enhanced landscape lighting for many homeowners, landscape developers, and custom home builders. We are excited to finally reach you. We are your source for irrigation and landscaping lighting. Call on the professionals at Rainfall Irrigation Inc. If you would like to learn more about our company or irrigation services, call us today.